Flaxseeds contain high levels of lignans (natural chemicals). While flaxseeds do appear to lose some of their actual nutritional benefits during baking, the lignans remain stable. 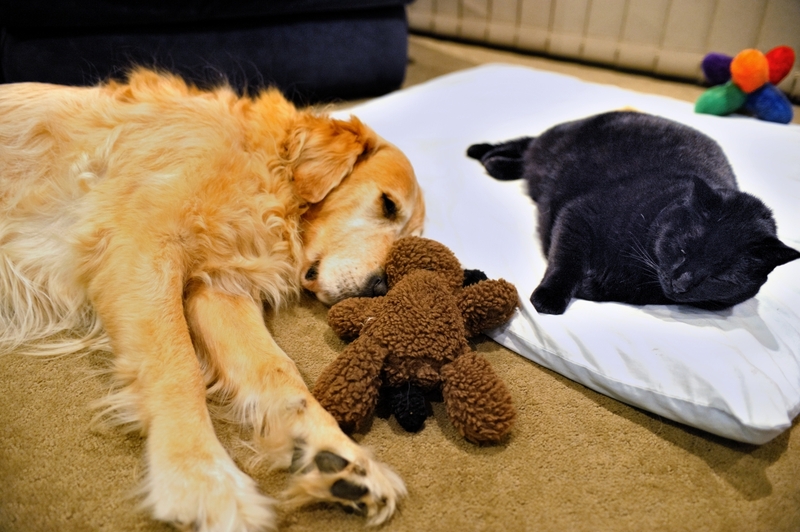 These lignans provide many important benefits to your pet including: antiviral, antibacterial, antifungal, anti-inflammatory and anticancer properties. Preheat oven to 180° C (350° F) and very lightly grease a jelly roll tray with oil. Spoon mixture on to tray and spread evenly and as flatly as possible over the tray. The mixture should be about 1/4 to 1/2 inch thick on tray when spread. Bake for about 50 – 60 minutes (depends on your oven). Reduce the oven temp. to 110° C (230° F) and remove the tray from oven. Score through the mixture with a knife or pizza cutter, horizontally and then vertically, you are aiming for about 1 inch squares. Place the tray back into the oven. 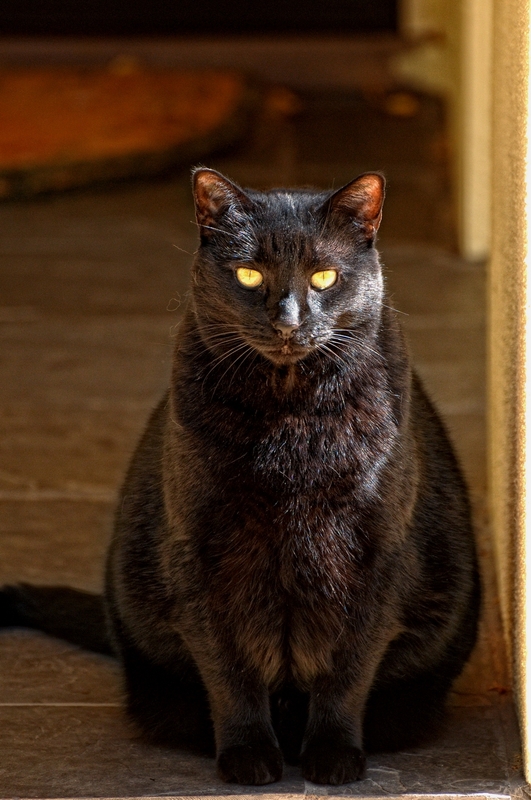 Bake for another 50 – 60 minutes, keep checking the treats, they can brown quickly. When done, the treats should be fairly dry and a little crispy. They smell delicious! Store in zip lock bags or air tight containers in the refrigerator. 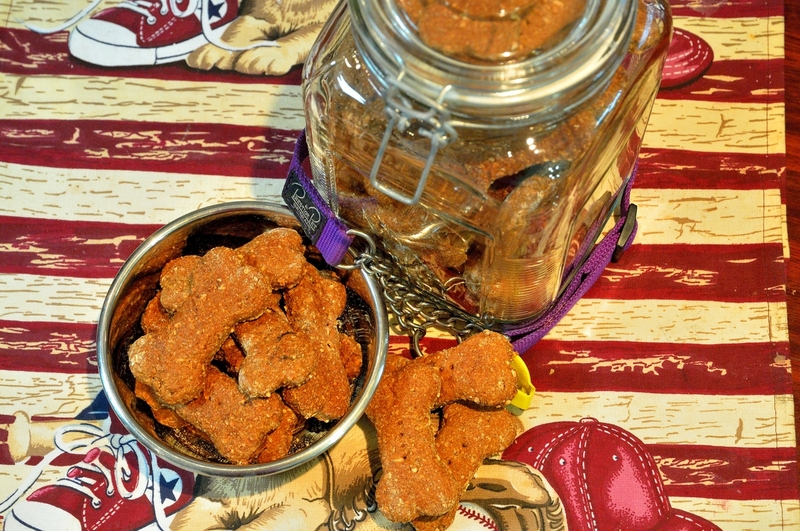 Feed these Chicken Tater Treats as a treat. Bulgur is a good source of the B vitamins and folate as well as the minerals iron, magnesium, and phosphorus. It’s very low in Saturated Fat and Cholesterol and a very good source of dietary fiber. Rye contains high levels of proteins and fiber. It contains good amounts of iron, calcium and zinc and a whole slew of B vitamins. There’s also vitamin E a plenty. 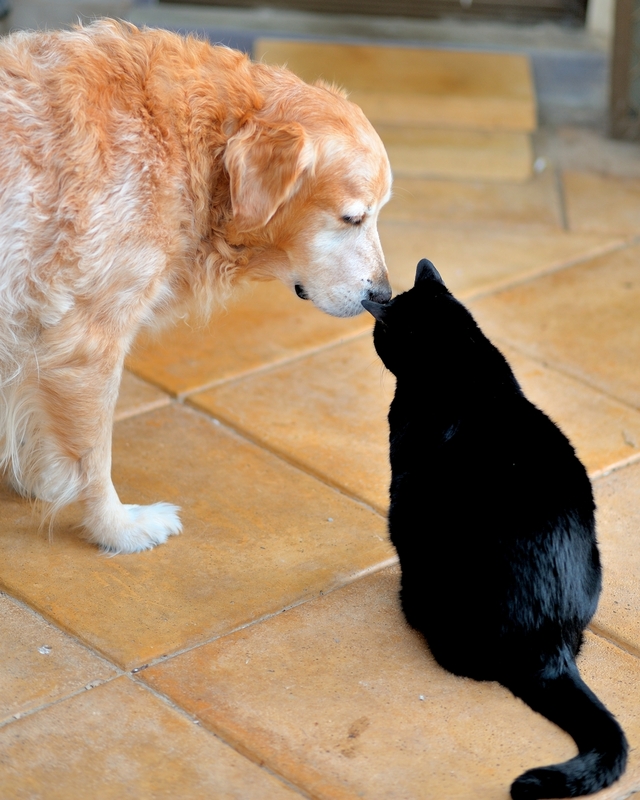 It’s also effective in lowering cholesterol levels, optimizing health of the heart and controlling blood pressure (US studies have showed between 0.5 percent and 10 percent of dogs suffer from high blood pressure – ages ranged from 2 to 14 years old). Cornmeal is a good source of niacin, thiamine, riboflavin, pantothenic acid, folate and vitamins B-6, E and K. It contains 18 amino acids and valuable minerals such as iron, magnesium, phosphorus, potassium, zinc, copper, manganese and selenium. Preheat oven to 150° C (300° F) and line 2 cookie trays with parchment paper. Mix thoroughly in a big bowl, the flours, cornmeal, bulgur, milk powder and carob powder. In a separate bowl, dissolve yeast and pinch of sugar in ¼ cup lukewarm water and let it sit for a few minutes, until it bubbles. Add the chicken stock to the yeast mixture and mix together. Add the liquid to the dry ingredients and combine, the dough will be stiff; you will need to use your hands to work it and bring it all together. Turn dough on to (lightly) cornmeal coated surface and knead for about 1 minute. Roll out the dough to a thickness of ½ inch and using cookie cutter of your choice or a sharp knife, cut out shapes and place on cookie trays. Repeat the process of knead, roll, cut and place, until all dough is used. If using GLAZE – Mix the egg and milk and use to brush tops of biscuits (for shine). Bake the biscuits for around 65 – 70 minutes (depends on your oven). Turn off the heat and leave biscuits in the oven for a minimum of 3 hours, or better still, overnight (this dries the cookies out and makes them tuff ‘n’ crunchy). Yield: 4 – 5 dozen (3 inch) bone shaped cookies. Store in zip lock bags or air tight containers for up to 5 – 7 days. 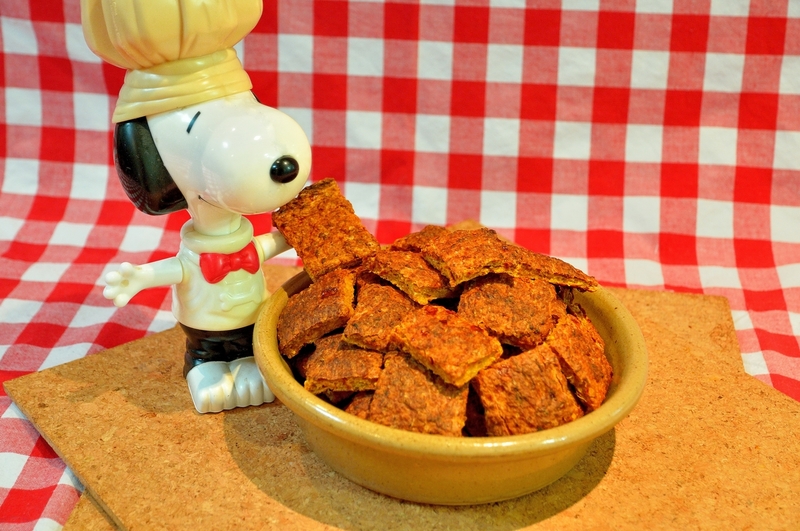 Home-baked dog treats contain no preservatives, so they can mold or spoil the same as home-baked people cookies do. Other variables, ingredients/moisture content of the treat and climate conditions also determine the storage time. 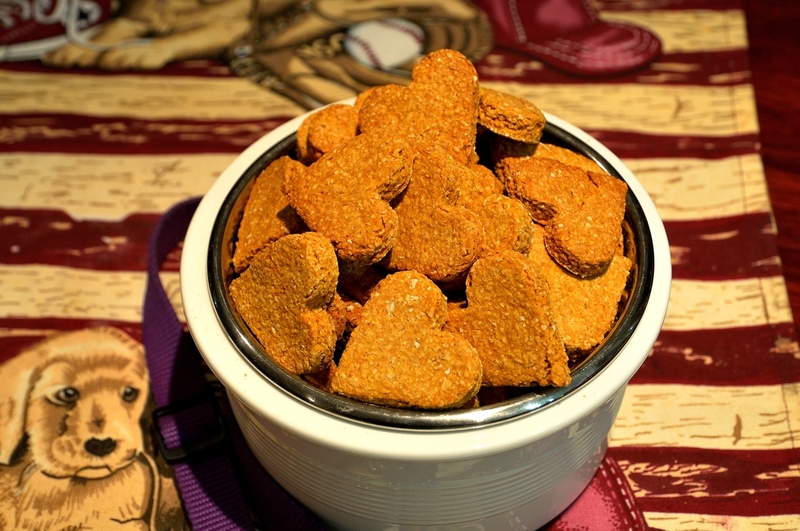 Feed these Tuff ‘n’ Crunchy Vita Bones as a treat. Sweet Potatoes are one of nature’s nearly perfect foods. Sweet potatoes are so healthy they should be fed to your dog daily! Health benefits include; source of potent antioxidant to aid in healing, cancer prevention, and fighting the effects of aging; Vitamins A, C and B6; contains the minerals, manganese, copper, and iron; and are a source of dietary fiber to help with those dreaded loose stools. Preheat oven to 165° C (325° F) and line large cookie tray with parchment paper. Place all the ingredients into bowl and mix thoroughly to combine. You will need to use your hands to bring mixture together. If it appears too dry, add the tablespoon of water. Turn dough on to floured surface and bring together with hands. Form into a smooth dough ball. Roll the dough out to about ½ inch thickness and using a cookie cutter of your choice or a sharp knife, cut into your favorite shapes. Place cut out shapes onto cookie tray. Repeat process of knead, roll, cut and place until all the dough is used. Place cookie tray in oven and bake for about 40 to 45 minutes, they should be lightly golden. Remove from oven and place cookies on wire cooling rack to cool. Store in zip lock bags or air tight containers for up to 5 days. 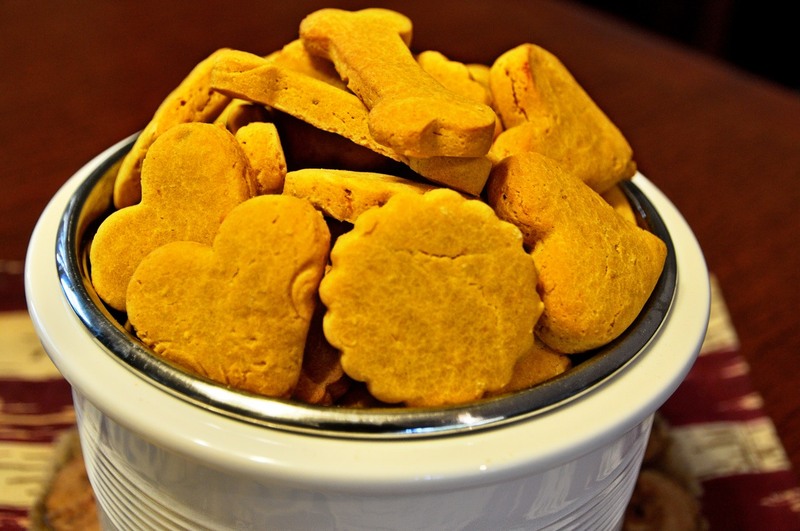 Home baked pet treats contain no preservatives, so they can mold or spoil the same as home baked people cookies do. Other variables, ingredients/moisture content of the treat and climate conditions also determine the storage time. Feed these Valentine’s Day ♥♥ Sweet Pea Cookie Treats ♥♥ as a treat. Spinach adds roughage as well as needed antioxidants, amino acids, and iron. Spinach contains high levels of the vitamin K which helps maintain good bone health and growth as well as A, B2, C, manganese, magnesium, folic acid, and calcium. Preheat oven to 180° C (350° F) and line large cookie tray with parchment paper. In a medium bowl, whisk the egg, spinach and milk together. (Or use a blender/vita mixer for this process, then pour green liquid into bowl). Add flour and ricotta cheese to bowl and mix until thoroughly combined. Turn out on to lightly floured surface and knead until smooth, (around a minute). Roll dough out to about ½ inch thickness, and using a cookie cutter of your choice, or a sharp knife, cut out shapes and place on cookie tray about ⅛ inch apart. Repeat the process of knead, roll, cut out and place, until all dough is used. You can use fork tines to press lightly into each cookie, if you like. Bake for 30 to 35 minutes, until firm and the edges are golden brown. Yield about 48 small – medium cookies (depending on size of cutter and dough thickness). Home baked treats contain no preservatives, so they can mold or spoil the same as home baked people cookies. Other variables, ingredients/moisture content of the treat and climate conditions also determine storage time. Freeze for up to 4 months – Allow to thaw completely before feeding. Feed these SPINACH AND RICOTTA CHEESE COOKIES as a treat only. 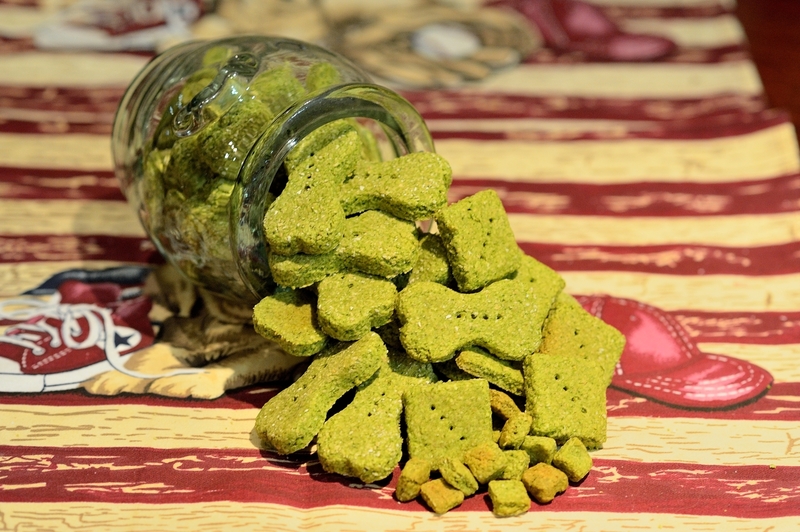 A Peanut Butter dog treat can help a dog’s health and their breath as well. Peanut butter contains vitamins E, K and B3, also known as niacin and beneficial minerals iron, magnesium, potassium, copper and calcium as well as modest amounts of dietary fiber. Pumpkin is an excellent source of Vitamin A, beta-carotene, potassium and iron, and may even reduce the likelihood your pet will develop cancer. If your dog has an upset stomach or indigestion, (yes they suffer from indigestion) try adding a little mashed pumpkin to their meal. 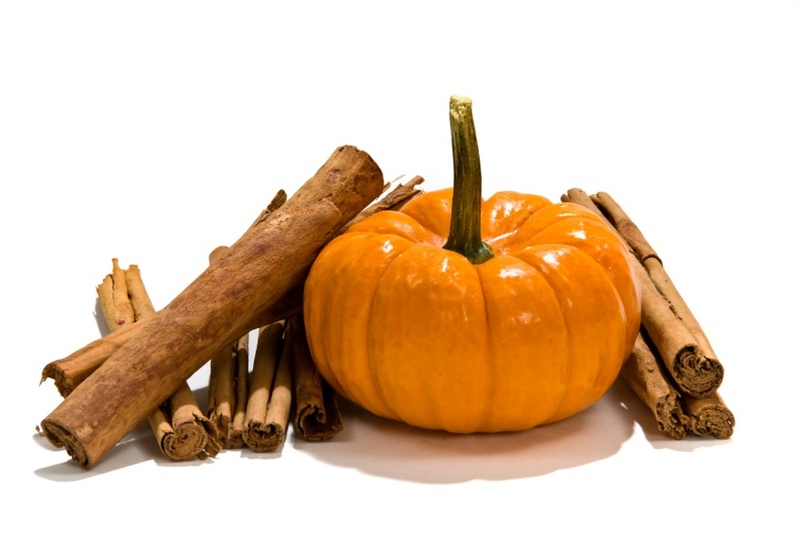 Cinnamon has beneficial anti-inflammatory, antifungal and antibacterial properties. Preheat oven to 180° C (350° F) and line 2 cookie trays with parchment paper. Combine all ingredients in a medium size bowl and mix until well combined. Turn dough out onto a well-floured surface and knead dough into a ball. 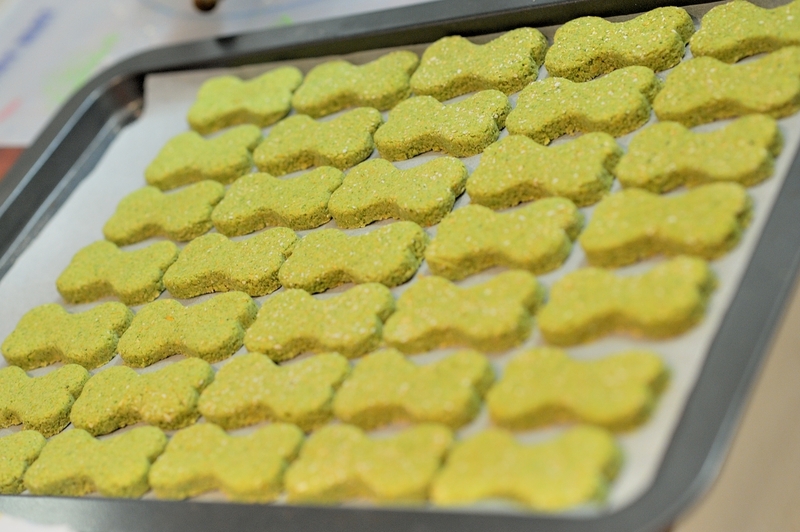 Roll out to about ½ inch thickness and cut with a cookie cutter of your choice or a sharp knife. Place cut-outs onto cookie tray and repeat process of knead, roll, cut and place, until all dough is used. 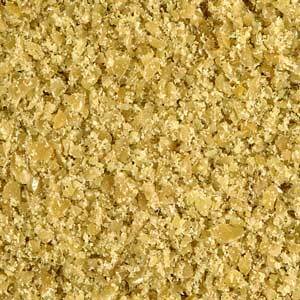 Bake for about 20 – 25 minutes (depends on your oven) and the edges appear golden. Remove from the oven and place cookies on wire cooling rack to cool. Yield about 48 cookies small cookies. Store in zip lock bags or air tight containers for 5-7 days. Home baked treats contain no preservatives, so they can mold or spoil the same as people cookies. Other variables, ingredients, moisture content of the treat and climate conditions also determine storage time. Feed these Peanut Butter ‘N’ Pumpkin Spice Cookies as a treat.